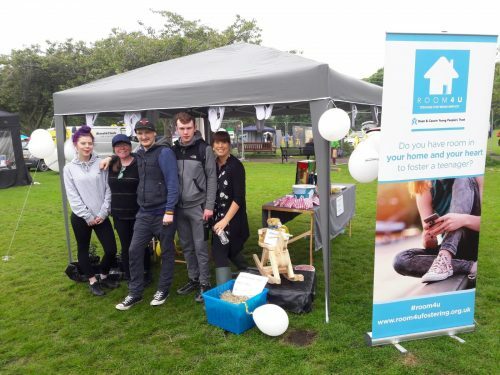 A big “thank you” goes out to everyone who helped out with our summer fundraising at the Meadows festival, including staff members and some of our young people. Our tombola went down a treat, our plants all found new homes, our rocking horse raffle raised the roof and our art works attracted lots of attention from the crowds. It was a brilliant day, the rain stayed off (just) and the wind was light enough not to threaten our gazebo. Our young people turned out in force to set up the stall, then spent the day talking to people about the Trust and raising funds. Thanks to everyone who bought tickets for the tombola, with special thanks going to the Royal High School for their very generous donation of prizes. We raised an amazing £225.76 on the day and had a great time at the festival.